Samsung's latest flagship released just over a month ago and so far has been very well received, to say the least. Currently rivaling the HTC 10, Nexus 6p and LG G5 (amongst others), it ends up being a very strong contender against these as well the rest of the current lineup of Androids. I've been fortunate enough to recently become the owner of one of these and found it fitting to write a review for it. From specs and physical features to software and everything in between, here are my thoughts on it. First things first, I'll be leaving iPhones out of this review entirely, I'd be pretty biased including them in this since I can't stand them and would feel morally obliged to state tens of reasons why I would take this phone over any iPhone, but at the end of the day that argument is riddled with subjectivity and redundancy. More power to you if you side with whatever type of phone you prefer, whether that be Android, iPhone, Windows etc. I will be comparing this to the last Android I had because I see that being more fitting and objective, I digress, though. Onwards to the review itself, and I'll be straightforward, I absolutely love this phone. Hardware wise, this phone reigns superior over my former, that being an HTC Desire 816. It boasts a 5.1 inch 1440x2560 Super-AMOLED display, and it is one beautiful display. It's crystal-clear and does an excellent job at holding its own under the sun. The S7 is making use of a Snapdragon 820 (cpu is actually region based) processor and 4gb of RAM. This phone is extremely fast and can have tons of apps and processes running at once with ease. It comes shipped with 32gb/64gb internal storage and yes, expandable memory is making its return, contrary to the S6 and previous Galaxy Note; expandable storage supports up to 200gb this time 'round. You'll be getting a non-removable 3,000mAH battery and this has been a major improvement over my last phone. I've had this S7 for a while now and it hasn't died on me once. It also features Fast-Charge 2.0, which gives it a vast superiority in charging time over any other phones I've had to date, to be precise, it will charge 60% of its battery in a mere 30 minutes. 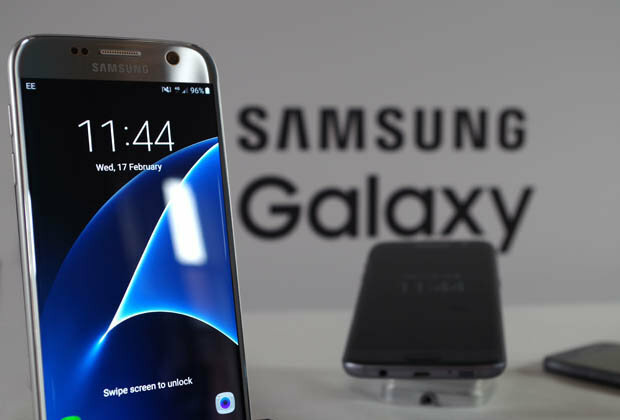 The Samsung Galaxy S7 is IP68 rated for dust and waterproof. I've lost two phones in the past to water, so it's quite comforting to hear that it's safe to take it up to 5 feet deep for 30 minutes, though I'm not going to be testing that for obvious reasons. For the most part, I haven't been the biggest fan of Samsung's UI and software, which has led me to side with something like HTC for example, despite them generally having inferior specs for the most part. Now with that being said, after some tweaks and adjustments I've grown quite fond of the UI. I've installed NovaLauncher which allows a pretty good amount of customization across your homescreen and UI in general and I opted to use a more minimalistic, black & white set of icons for my homepage. Really, I'm quite satisfied with the UI now, it's super clean and functional and I can't complain about it too much at the end of the day. Software wise, it's as expected really. It comes shipped with Samsung's bloatware, and there are apps to aid in the removal of them if you choose to do so. GameLauncher is Samsung's latest and greatest software feature. This new feature allows for users to play games without alerts being displayed, record your session, and even reduce the resolution that said game is being displayed at; and a few extra features as well. Overall it definitely furthers your mobile gaming experience. Another new feature is "always on display" which displays the date, time, battery level, as well as the number of notifications received. Apparently this feature preserves battery life compared to turning your device on and off dozens of time for the sake of seeing what time it is. I find it pretty nifty. At the end of the day, to reiterate my past statement, I love this phone. Between its snappy CPU and 4gb RAM, it's easily the fastest phone I've owned. There is a stark contrast present when comparing the amount of processes and apps I could have open between my former HTC Desire and this Galaxy S7. A few minute yet great inclusions I neglected to mention are the included USB cable and headphones. Both of them have a rather secure lock into the phone itself, which is really underappreciated. When you're doing physical work, the last thing you want are your earbuds coming unplugged in the midst of it, and when your phone is charging overnight while you're sleeping, it is a nightmare to wake up to it dead, only to realize it became unplugged overnight. The earbuds themselves are actually pretty solid for being free with the phone, they feature a kidney shaped tip with interchangeable sizes and an inline microphone with its typical controls. The sound quality is pretty good for what it is and I use them pretty often, if not every day; not to mention using the microphone to screw around on TeamSpeak with our fellow sinners. It's really a pleasant device to own and I have no regrets with owning it. Now that's not to say this phone is flawless per-se, it has plenty of positives but a few bothersome additions, as well. The speaker for instance, as I've mentioned previously, I came from an HTC Desire 816 which features Boomsound speakers, two loud speakers that cover the top and bottom of the front of the device. This is the one area where I have received a downgrade, the speaker on this S7 is, how should I put it, "meh." It's one tiny speaker on the bottom of the phone (I abhor the placement on it) the speaker itself in terms of quality, is ok. It's just that though, it can hit a decent volume but the quality and lack of multiple speakers is rather disappointing to me. I'm assuming it has to do with the waterproof feature though, so I suppose you win some and lose some. One other thing that is rather irritating is how slippery this phone is. It can slip out of your hands very easily, fortunately, that can be countered by putting a skin on the back of the phone, no big deal really. My last complaint is the inability to root this phone, I've had the tendency to root every phone I've had and it's unfortunate that I won't be able to do that this time. It doesn't bother me too much though, in fact, I'm enjoying this phone on a stock ROM and OS just fine. When it's all said and done, it's a great phone, in my opinion, no doubt about it. It's not flawless though, necessarily, but still a very solid device in the end. I'd definitely recommend it to everyone looking for an upgrade over their former. There are really very few prominent flaws in this device and it certainly has warranted some recognition lately. All-in-all, I'm more than satisfied with it and hope others consider it when they're on that notorious journey of finding their next gadget that will accompany them everywhere. Red58, coolbunnymodz, Gods By Machine and 8 others like this.